Usually, before a couple marries, they engage in hundreds of intimate, layered conversations, in an effort to establish realistic expectations and build a foundation for a successful marriage. 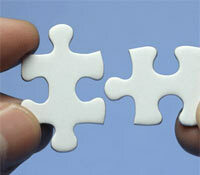 The same principle can and should apply in the context of a business partnership. As with any partner, in business or otherwise, at the outset of each relationship is a set of clearly defined goals. Also, and very often unexpectedly, misunderstandings occur and can lead to a painful breakdown in communication, which often leads to resentment and, at times, permanent separation. At the last Email Insider Summit I had a very engaging conversation with Jeremy Swift of BlueHornet and Dave Baker of Razorfish about why marketers leave ESPs. According to Dave, the relationship between a marketer and an ESP usually begins to deteriorate after about 18-24 months. The “marriage” between ESP and marketer goes through a honeymoon phase, during which everything is promised by the ESP to the marketer, including, but not limited to, increased deliverability to the inbox, cannibalistic pricing, dedicated professional services teams and streamlined integration. Because of the mission-critical nature of email marketing, there will be an evaluation after set period. 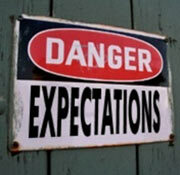 If these expectations are not satisfactorily met, a breakdown in communication occurs. As a result, resentment ensues, which leads toto separation and, ultimately, divorce. This course of events has negative effects for both parties; communication breakdowns leave the marketer feeling bewildered and the ESP scrambling to find another client. Set proper expectations. Account Managers and professional services teams at competent ESPs must set clear, realistic guidelines outlining what the client should expect over the course of the relationship, including a well defined timetable. Milestones should be clearly defined at the beginning, and once they are met, they should be celebrated. Sometimes ESPs can get into a mischief where if the client is hooked, they can capitulate and ultimately flip on pricing since the cost of switching would be prohibitive. But, as with more casual relationships these days, it’s easy to switch. Clients don’t have to sign on until death do they part. Let’s face it. The growth trajectory of the email industry is such that providing an adequate support infrastructure is challenging for ESPs. According to Jeremy Swift of Blue Hornet, marketers are frustrated with the overall lack of highly skilled customer service representatives and attention to detail from ESPs. This is a direct result of the prolific growth of the industry. The industry will face continued realignment/consolidation, and ESPs must be prepared to deal with this natural turbulence. To counteract these effects, if you are an ESP that vows 24/7 customer service, you must ensure that someone is available at all times to provide feedback. This is necessary because marketers will test and track the level of service they are receiving, including the response time of support queries. With 150+ ESPs to consider, it’s a definite buyer’s market, and clients will seek timely resolutions, robust platform features, and more importantly personal references. Outstanding customer service will ensure that your ESP stands out positively to clients in the midst of an increasingly crowded field. Just as in marriage, prompt, clear communication is the cornerstone of a successful client/ESP relationship. At the Email Insider Summit we learned that venture capitalists and angel investors will partner with competent ESPs and offer complementary services that are congruent to the ESPs core group of offerings. These include social media functionality, mobile, database management and the ability to scale globally. Proficient ESPs may have dedicated in-house design teams, professional services teams, technicians, and deliverability consultants that work harmoniously on behalf of clients. When shopping for a new ESP, carefully weigh these aforementioned factors and identify if they align with your marketing objectives. It’s important to understand explicitly what these services mean by asking the right questions. Before entering this type of relationship, it’s crucial to understand how the ESP’s services will be executed in the grand scope your email initiatives. For example, a good technical services team should help define your requirements and might offer a customized roadmap as you accumulate advanced data points from your subscribers. For instance, they might ask you to tag each link in your creative with an acronym, to locate a micro segment that is highly profitable on your list. It’s important to know who you are as an ESP and as a client. Clone your bright spots, and play to your strengths. Finally, remember that collaborating effectively with your ESP should alleviate some pain points. Through effective collaboration, you should be able to determine which complementary services you currently need, and which of those you will require in the future. Finally, arranged marriages don’t work well in the Email Industry. :) You’ll want to take your ESP out for a test drive and evaluate the email tool in your own environment. Test driving different email platforms will lead to a more confident option in a long term partner. It’s important that you know what you are getting into before you make a commitment to “marry” a particular ESP. But as with marriage, if you take proper precautions before committing, you will pave the way to a long and successful relationship. Special Thanks to Dave Baker of Razorfish, Jeremy Swift of BlueHornet and Christy Barret Weymouth of ExactTarget for their contributions.